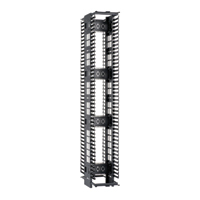 PatchRunner Vertical Cable Managers are designed to manage high-density networking equipment in, up to, half the area required by traditional cable management systems. 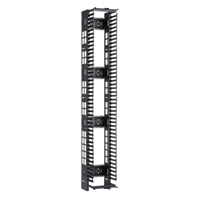 Molded cable management fingers, with integral bend radius control, combine with Panduit angled patch panels to eliminate the need for horizontal cable managers. 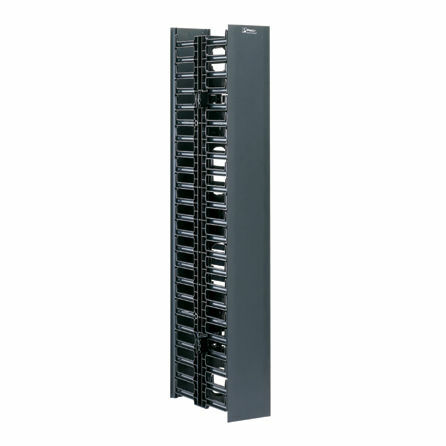 This frees up rack space for additional patch panels, active equipment, or cable pathways reducing the number of racks that may be required for the network layout. The reduction in square footage combined with fewer components ordered, inventoried and installed results in significant cost savings for the network infrastructure. 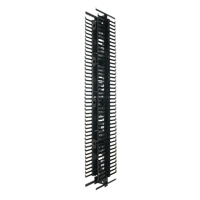 When used with Panduit connectivity, patch cords, and racks, the user receives a complete cable management solution that maximizes density while minimizing the area required for their network.